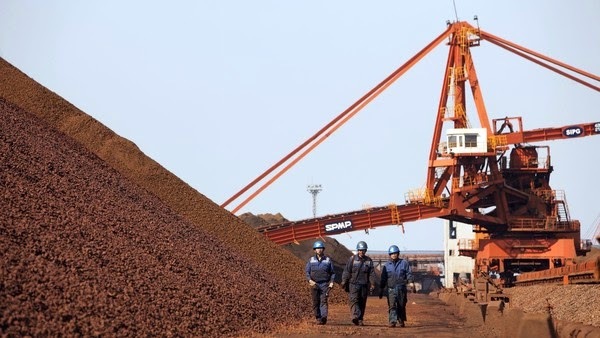 About three-quarters of Chinese iron ore mines are in the red, according to remarks on Friday by Yang Jiasheng, chairman of the Metallurgical Mines Association of China, with operating rates as low as 20 per cent of capacity. Shi Zhenglei, iron ore analyst at Mysteel, reckoned that about half of China’s estimated 1,500 iron mines would be forced to close this year, removing 20 to 30 per cent of national capacity. Many Chinese mines produce low grades of ore. While many smaller, private iron ore miners may be willing to sell or at least mothball production, state-owned mines are locked into contracts with mills and may come under pressure to keep going. Local governments also generally oppose closures that might raise local unemployment rolls. State-owned metals trader Minmetals, for example, has been unable to get permission to close a costly mine in northern China, in spite of the availability of cheaper imported ore. The drop in prices has also hit higher-cost international miners including Australia’s Fortescue Metals Group, once hailed by the Chinese for its potential to break the market dominance of BHP Billiton and Rio. Andrew “Twiggy” Forrest, Fortescue founder and chairman, this week called for a cap to help revive prices. China’s flagship steel producer Baosteel has joined Rio Tinto in rejecting that suggestion.